ONE-TOUCH AUTOMATIC MULTIFUNCTIONAL PIEZO IGN..
ALCOHOL BURNER COPPER ALLOY STOVE FOR OUTDOOR..
FOLDABLE GAS STOVE WINDSHIELD OUTDOOR WITH 9 ..
HARD-ANODIZED ALUMINUM PICNIC CAMPFIRE TRIPOD..
ALOCS PORTABLE MINI SPIRIT BURNER ALCOHOL STO..
ALOCS CW - C19T ALUMINA ULTRALIGHT 2 - 3 PEOP.. CAMPING GAS BURNER FOLDABLE INTEGRATED STOVE ..
LANSHAN GR - 9 3000W OUTDOOR MINI FURNACE GAS..
BULIN BL100 - B6 - A OUTDOOR CAMPING FOLDABLE..
AOTU AL500 OUTDOOR COOKWARE SET ALUMINUM ALLO..
BRS OUTDOOR CAMPING PICNIC PORTABLE FOLDING B..
BULIN BL100 - B5 OUTDOOR GAS STOVE FOLDABLE C..
BULIN BL100 - T4 - A OUTDOOR CAMPING FOLDABLE..
ALOCS CF - RT06 HARD-ANODIZED ALUMINUM PICNIC.. CAMPING FOLDING STOVE HEAD LIGHTER ALUMINUM A..
SPLIT TYPE STOVE HEAD ADAPTER FURNACE CONNECT..
PORTABLE CARD TYPE CAMPAIGN BUTANE GAS STOVE .. Outdoor Portable Gas Stove Stainless Steel En..
FREE SOLDIER AI0068 MULTIFUNCTIONAL STAINLESS..
10 PLATES ALUMINUM ALLOY OUTDOOR FOLDABLE CAM..
8 PLATES ALUMINUM ALLOY OUTDOOR FOLDABLE CAMP..
ALOCS CW - K07 0.9L ALUMINUM ALLOY CAMPING PI..
Outlife Stainless Steel Detachable Outdoor Fi..
Outlife Outdoor Portable Long Tank Interface ..
ALOCS CW - C05 PORTABLE 2 - 4 PERSON 10PCS CA.. HIKING PICNIC BACKPACKING TABLEWARE CAMPING P..
ALOCS CW - C01 PORTABLE 1 - 2 PERSON 7PCS CAM..
2PCS FOLDABLE OUTDOOR CAMPING HIKING COOKWARE.. OUTDOOR CAMPING PICNIC PORTABLE FOLDING BUTAN.. 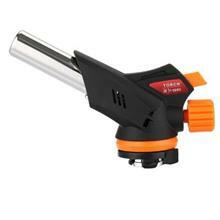 OUTDOOR TREKKING CAMPING PARK COMPACT MINI PO..